There is probably no decision facing the ANC more important than choosing its next leader. If you consider the recent voters’ reaction to its current leader, that our politics are becoming very competitive and that opposition parties have momentum, it is becoming clear that the ruling party needs a person acceptable to the whole nation. The ANC can either choose a “bad” leader – someone seen as similar to the current person on its election posters – and lose the 2019 elections, or choose a “better” leader, someone seen as a reformist, as different, and win. More and more it seems factions in the party are going to have to reach a compromise. 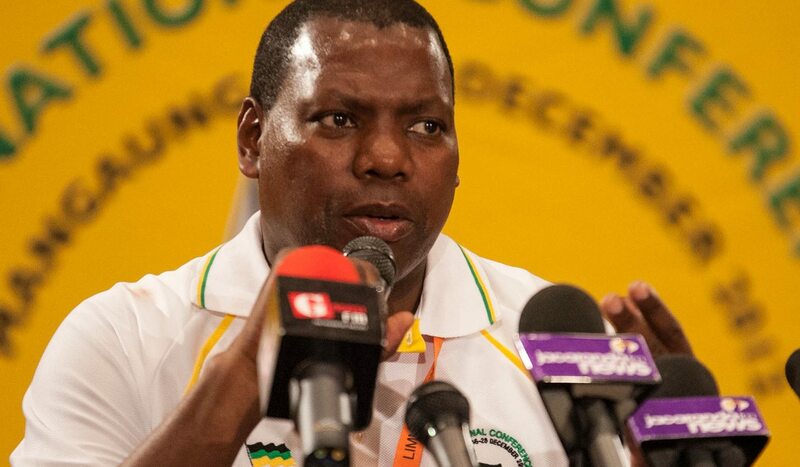 Could it mean that Dr Zweli Mkhize will be SA's next president? By STEPHEN GROOTES. It is well known by now that our politics are getting harder and harder to predict. Things change, trends ebb and flow, the dynamics shift around endlessly. But some aspects are becoming easier to see. In a way, this is like a proper five-day cricket Test match. Sometimes trends take two days to emerge, but when they do, you can see that one side held the upper hand all along. Or the fact that Shane Warne was eventually pulled out of the attack signalled that Graeme Smith was a unique talent. This is what is beginning to happen in the ANC – nothing overt has changed, but small moves, several trends coming together, the non-progress of some factions… it’s all beginning to amount to something. For some years it has been widely held wisdom that there were two main candidates for the post of ANC leader after President Jacob Zuma. The first was Nkosazana Dlamini-Zuma, seen as the candidate of what is now known as the “premier league”. She was seen as a person they could trust to keep the patronage flowing and who would not take action against Zuma himself, once he lost the power to appoint the head of the National Prosecuting Authority. But her candidacy appears to be running into trouble. As the scandals mount up, her surname is beginning to count against her more and more strongly. Her relationship with Zuma could mean that the scandals that define his administration are going to still be useful fodder for opposition parties. And if there’s one thing this last poll showed us, it’s that voters will decide themselves what the issues are, and will not be dictated to by politicians. At the same time, the political strength of those in the premier league is not what it used to be. As the analysis of the elections outcomes continues, it is becoming more and more obvious that this group actually lost more percentage points in the elections than the urban groupings did. The ANC won places like Mangaung and Ethekwini with victories in the 50s, not the 60s or 70s as it did before. In other words, they are playing with fire by allowing themselves to select a person who looks like she is representing a patronage faction. I've been asking DP ramaphosa for an interview for 4 years! Today they told me: we have no policy of not giving you an interview. Lol! It must surely be humiliating for a person to go from negotiating the Constitution under which we all live, to becoming hugely rich, and then to become Deputy President, and still not have the power to speak freely. One wonders what was the point of it all then? So, if this is the case, if the two frontrunners are, for various reasons, becoming better described as “former frontrunners”, then who? Gwede Mantashe, perhaps, but he seems to be powerless to exert his own will at the moment. He may also be too tied to the Ramaphosa faction, and thus unacceptable to those who want Dlamini-Zuma. Jessie Duarte seems unelectable, and then there is Baleka Mbete. There is probably no-one Floyd Shivambu would enjoy more as leader of the ANC than her. She would immediately be known as President “I don’t recognise you”. And the fact that she appears to have behaved undemocratically as National Assembly Speaker (and has lost court cases to prove it) suggests that she would have worse baggage than Dlamini-Zuma. Then there is Zweli Mkhize. A man who, despite it all, still appears to be able to speak out when he wants to. He has been perhaps the most vocal of the ANC’s Top Six on the Hawks/Gordhan fight, he has spoken his mind, firmly, and seems unafraid to do so. In the weeks after the August elections, he gave an interview to the news agency Bloomberg in which he said, “Doing things as we are doing them now is not an option” if the party wants to stay in power. It’s hard to imagine the party’s current Number One saying that. Or Duarte. Or Mbete. And one can’t imagine Ramaphosa speaking about it at all. When this website was arranging its annual The Gathering, there was an inevitable discussion about who would represent the ANC. Obviously, for an urban audience, someone like Ramaphosa would have been ideal. In the end, Mkhize was happy to come, knowing that he would have to take some heat. Again, during the heat of the election campaign, when 702’s Midday Report, with a highly urbanised, informed and critical audience (if you do say so yourself…-Ed), needed an ANC representative, he was the person selected by the ANC to represent it. All in all, this gives the impression that not only Mkhize is prepared to speak out when necessary, but he has the necessary integrity to do so. He does not appear to have the same problem that Zuma does when he speaks about corruption – no one laughs behind their hands. He is able to confront difficult issues head on, and, at least in the media space, appear to provide direction. And then there is the political role that he has recently played. It’s been said before, but it’s worth saying again, that if one can piece together what really happened in the days when Zuma fired Nhlanhla Nene, appointed Des van Rooyen as finance minister, and then appointed Gordhan, then you can work out who has the power, and who acts in certain ways. During this time, it seems now almost certain that Mkhize played a leading role in forcing Zuma’s hand in reappointing Gordhan. This suggests that Mkhize has strong political weight, is prepared to use it, and is someone business and the markets would welcome. Mkhize’s main strength in the convoluted politics of the ANC is that he is acceptable to both major factions. It is pure compromise politics. It’s sometimes not about who has the most support, it’s about who is the least hated. It’s about finding the person who everyone can live with. This could be important for the ANC. Such is the state of the party at the moment that there must be great fears that it could soon split, at any future conference, whether it be early or only in December next year. And this would not be a splintering off as the formation of Cope was, or as the EFF started out. This would be something much more fundamental, something down the middle. For each faction to force the other to accept their choice would push the chances of a split that much higher. As everyone wants to cling to power, this could mean that Mkhize becomes the obvious choice, even some months before the conference actually happens. That leads us then to the question of what kind of president Mkhize would actually be? First, and most obviously, it appears that he has every few, if any, strong allegations of corruption against him. He has been accused of trying to interfere in a computer tender at the CSIR, but nothing was ever proven. What could be more damaging to his reputation is what became known as the “Amigos Case” in KwaZulu-Natal, where a businessman allegedly gave money to top ANC provincial officials to fix tenders for expensive hospital equipment. Mkhize was the province’s health MEC at the time. But again, no charges have ever been laid against him, and no one has produced hard evidence that he was in fact involved. Then there is his current position as ANC Treasurer. This seems to be a position almost designed to get someone’s fingers dirty. The party needs money, it is in government, it has political power, and without the cash it won’t keep it. This happens around the world, but here there is no way to force the ANC to explain where its money comes from. If it is true that the ANC spent a billion rand on its election campaign (and got very little to show for it), then he is the person to ask about where that money came from. Questions will immediately emerge about Chancellor House, the ANC’s investment vehicle that benefited from contracts with Eskom. Like Mathews Phosa and Mendi Msimang before him, Mkhize must surely have some stories he hopes never get out, about how the party does manage its finances – and, if the EFF is to be believed, he could also explain why the rates bill for Luthuli House has not been paid. All of that said, there is one thing that surely must be undeniably true. At the moment it appears we are led by a man who does not understand economics. He seems unable even to remember the full nine points of his own nine-point plan. He still does not appear to comprehend the damage he did with the sacking of Nene. Mkhize could not be more different. He gets it. He understands it. In his own way he is part of it. As a qualified doctor, he would appear to be a very different person to Zuma.